The spat between Apple and chipmaker Qualcomm just keeps getting nastier and nastier, and apparently Apple may finally have had enough of it. According to a new report from The Wall Street Journal, Apple is already busy designing iPhones and iPads without Qualcomm components. Instead, future phones may be packed with chips from Qualcomm rivals Intel and MediaTek. Qualcomm stock dropped by almost 8% today in the wake of the news. The report claims that the final straw for Apple was when Qualcomm allegedly decided to withhold the software needed to test Qualcomm's own chips on Apple's prototype devices. These are but new chapters in a long series of unfortunate events. Qualcomm's move was likely prompted by Apple's recent $1 billion lawsuit against the chipmaker in which it claimed it has "nothing to do with" technologies that Qualcomm was seeking royalty payments for. Apple then decided to stop making licensing payments to Qualcomm, which led to a massive drop in revenue for Qualcomm. 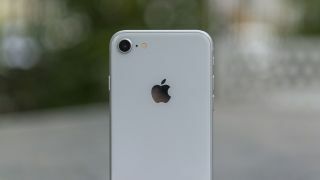 Qualcomm has tried to ban the sale of select iPhones in the US, and has also begun an attempt to get iPhone sales banned in China. For all the animosity, though, Qualcomm sounds almost ready to make amends in its statement to The Wall Street Journal, which was in response to the question of whether Apple was redesigning its phones specifically because Qualcomm didn't send the testing software. Qualcomm sent the same response to TechRadar, but referenced the WSJ's question. "The Qualcomm modem that could be used in the next generation iPhone has already been fully tested and released to Apple," the statement read. "We are committed to supporting Apple’s new devices consistent with our support of all others in the industry. Qualcomm’s wireless solutions remain the gold standard for premium tier smartphones." The mixed messages aren't all that surprising. Qualcomm is currently the largest manufacturer of chips for mobile devices by far, but that could change in favor of companies like Intel and MediaTek if Apple decides to walk away for good. It's already attempted to in the past, as the iPhone 7 and iPhone 7 Plus carried both Intel and Qualcomm chips, as did this year's iPhone 8 and iPhone 8 Plus. For the next phone after the iPhone X, Apple might be able to make an entirely clean break. Apple reportedly has until June to make its decision, although that's a bit late in the game, considering that the Cupertino company usually announces its new iPhones in September. There's also a chance that we'll see a new iPad Pro as early as next summer, which could make matters even more complicated. With all of that uncertainty on the table, it's probable we'll have to wait another generation before we finally see a Qualcomm-free iPhone (if, of course, we ever do). We asked Qualcomm for a statement, but the company declined to comment on the speculation that Apple may stop using its chips. We also contacted Apple, but did not receive a response.